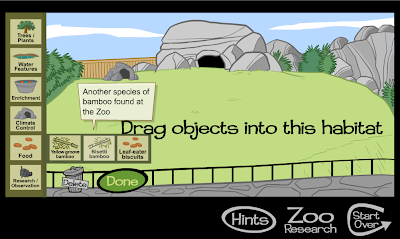 The Smithsonian's Design a Panda Habitat activity is a rich interactive that would help students use strategies to process information. Their task is to listen to the curator's instructions, consult experts, and construct a habitat that will result in the Pandas coming out to visit the exhibit. In the process, they will be thinking about abstract categories within habitats (in this case, artificial habitats) and strengthening their knowledge of curriculum areas around biology. 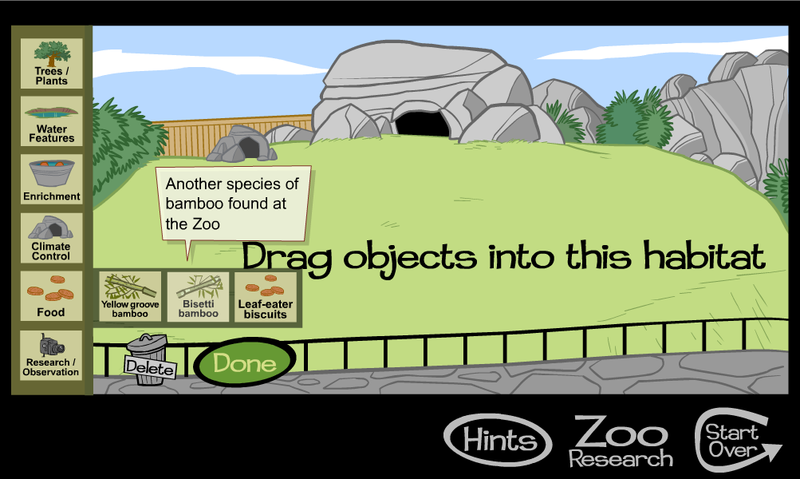 This activity would be a great context to use graphic organizers to gather information and make decisions about the elements of the habitat. Thanks to InTec Insights for featuring this resource. Awesome habitat designer you found here, definitely one to share with children, they will love it. Love the fact that it encourages thinking as well as being fun to do. At first I thought this linked to TPR. For a second look, I found it involves more information and strategies. I like this kind of activity which is authentic in some ways. I have been learning a lot from this kind of activities. Guest Post on Social Thinking®!